We have part three of the multi blog series by Paul Zimmerman, Technology Innovator at the Blaine County School District. In this week's piece Paul walks us through the implementation phase of the school adoption of VR. Read his first and second blog too! Implementation is a word that has a variety of meanings depending on the context. This word could be simply trying something new on a small scale or perhaps a district wide mandate or sometimes it’s a grassroots movement driven by enthusiasts and adopted by the masses. From a technology innovation perspective, implementation means transparent. What I mean to say is that technology in the classroom absolutely must be as transparent to the learning process as a pen and paper is. The goal of learning is to overcome educational obstacles and without being hampered by technological ones. In that mindset, a successful implementation is crafted by understanding the teacher's perspective first and using that as the framework for the project. Only after we understand the teacher can we start to explore resources and in classroom usage. Understanding the classroom and the various learning environments my teachers were in was my main source of information when designing this Google Expeditions kit. This meant spending time in classrooms first and foremost but not to learn the content but to see how it was delivered. It is in the delivery that technology innovation happens and where real impacts can take place. By being in the learning, I began to see a trend. It was apparent that the tools a teacher used in the classroom, technology or not, needed to not be the focus of the lesson. With virtual reality, this was especially difficult because of the wow factor. This wow factor needed to be ignored because this was meant to be a tool and not a focus. It was amazing to me how effective it was to be a part of the planning process for teachers. 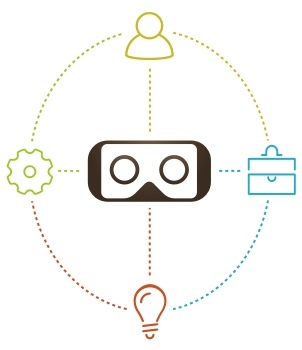 When I worked with teachers in planning ahead for the Expeditions and making it an integral part of their lessons, the impact was profound and the VR became invisible. This was so successful that this coming year I am doubling my efforts to be a part of the planning process with our teachers and focus on daily learning goals throughout their units. There is no magic formula to implementing a new project to teachers. It is simply an empathetic approach to understanding their methods and using technology to perhaps offer a new method in addition to the current ones. However, in that empathy, it’s important to recognize the difference between resistance and fear if your goal is a success and widespread implementation. Resistance is almost always based on previous experiences and opinions that have likely been in place for much longer than your idea has. In these cases, the approach should be aimed at those factors causing the resistance and not on the resistance itself. Work on the root of the hesitation and likely you’ll find an open minded teacher ready to explore something new. On the other side, fear is also a challenge of implementation and is usually caused from a lack of information. In the case of Google Expeditions, there was an absolute lack of knowledge about virtual reality and therefore fear. We got over this by constantly communicating the impact it was having, communicating where to begin as a teacher and communicating our availability for support. However, as the number of Google Expeditions sessions grew, the implementation began to take a life of its own powered by the teachers themselves. Truly, our successful implementation has been largely because of our teachers and their willingness to explore new tools in the classroom. Going into this project, and most innovative ideas, there are usually very little resources related to training and this is the case with Google Expeditions. There are no professional development courses and other than online message boards there are very little networks to connect with others. That being said, it gave us a chance to explore our own paths to success. We have offered 4 hour professional development on VR as a resource but have since stopped because in all honesty Google Expeditions is easy enough to implement on the teacher side that 4 hours was too many. We needed about 60 minutes to explain the setup from start to finish and from there it simply works. For the hardware resources, we used a variety of methods. Once I understood the concept behind the Google provided Expeditions and realized there was nothing proprietary, I knew this could work. First, the connectivity was key because that’s how the entire system ran. Initially, I used a wireless router that was only 802.11b and quite old. This caused the system to hang when Expeditions began so I found a router from a coworker that supports 802.11n and the system was much more responsive. This is not a fancy or brand new router but it works great. As for the viewers, I knew that long term usability and portability were important which is why the SmartVR viewers from Dodocase were my choice. They fold up small, they are metal (for cleaning and durability) and the lenses are very good. Remember, the idea is transparent in the classroom so knowing the limited space in the classroom and that kids don’t always wash their hands meant I needed to keep that in mind with the viewers if we wanted to have this work district wide. As for the devices themselves, we have received phones from coworkers, friends, family and donations which has worked out extremely well. It simply needs to be an iPhone 5 or newer or an Android within the last 4 years. The beauty of Expeditions is the software does the work and the hardware does not need to be anything specific, just needs to meet a minimum standard. The phones coming from the community certainly has been powerful because of its unexpected side effect - ownership. By bringing the community and teachers into this process, instead of technology departments alone, we have seen a sense of ownership around this tool that we are working to implement. On top of that, it’s good for the environment! If you have a wireless router and some devices available, you already have 75% of a successful Google Expeditions kit. The other 25% is implementing it and once you hit 100% you’ve replicated exactly what we’ve done. The model we have used was really created with everyone in mind. This concept of VR in the classroom and this reimagining of the Google provided kit was never intended to be only for my district. In my opinion, VR in the classroom should be available to every teacher and a tool in their class. It is my hope that with these blog posts, I can instill a sense of confidence and excitement for teachers and students at all grade levels and in all districts.